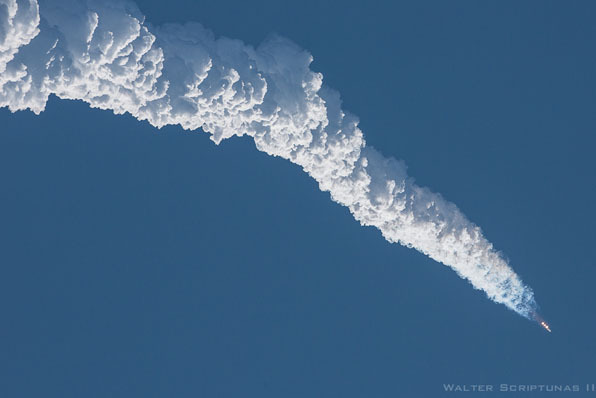 America's heavy-lift rocket, the towering white and orange triple-barreled booster responsible for launching vital security and intelligence satellites, makes another of its spectacular ascents from Cape Canaveral. 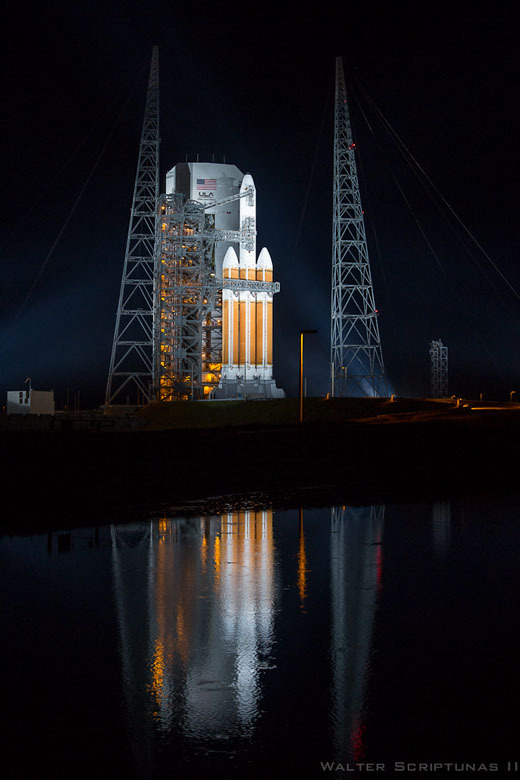 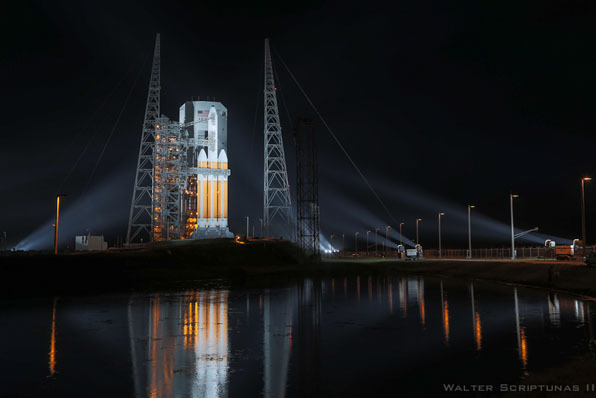 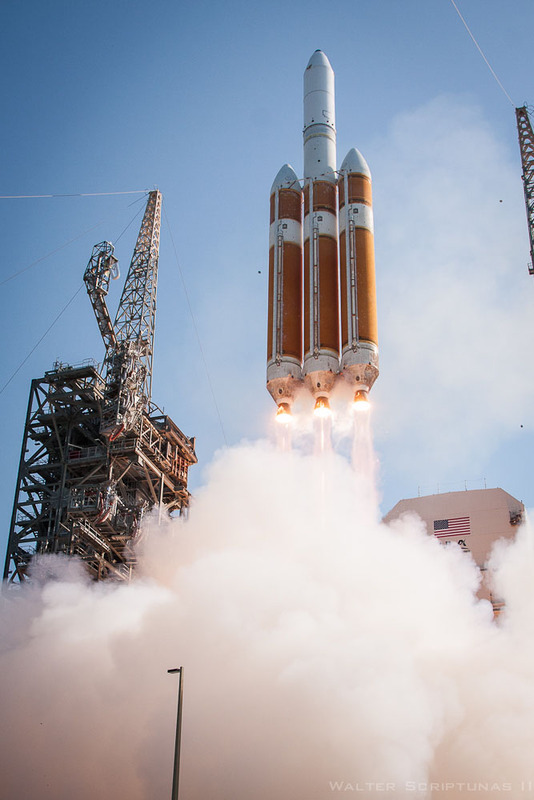 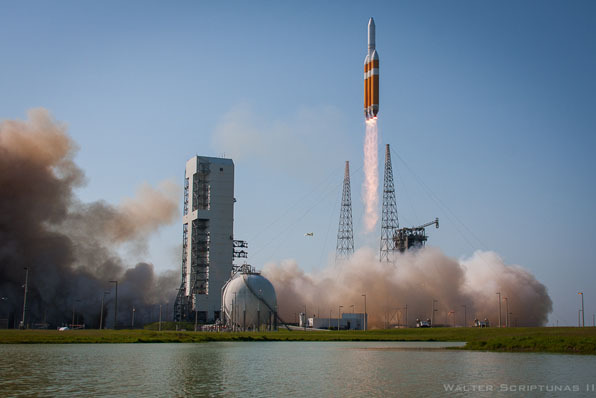 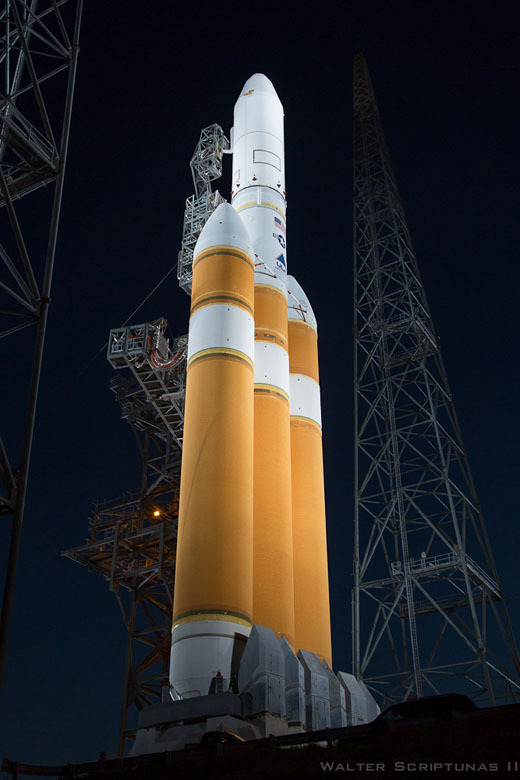 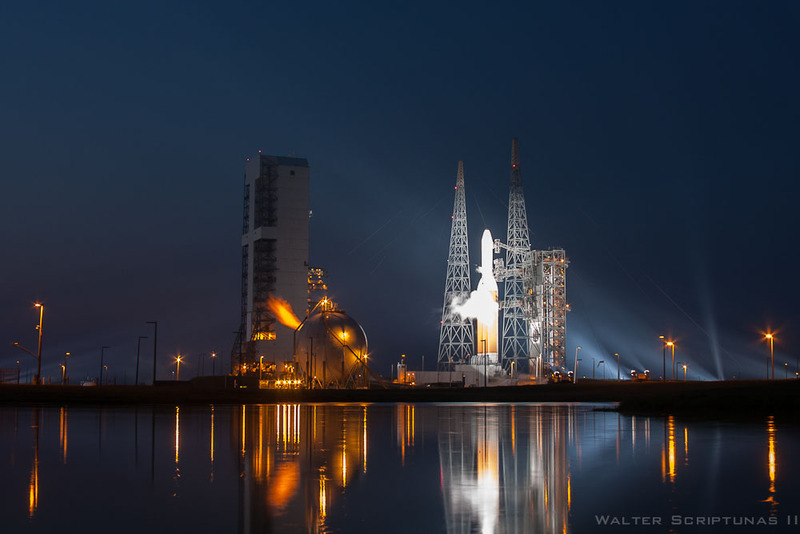 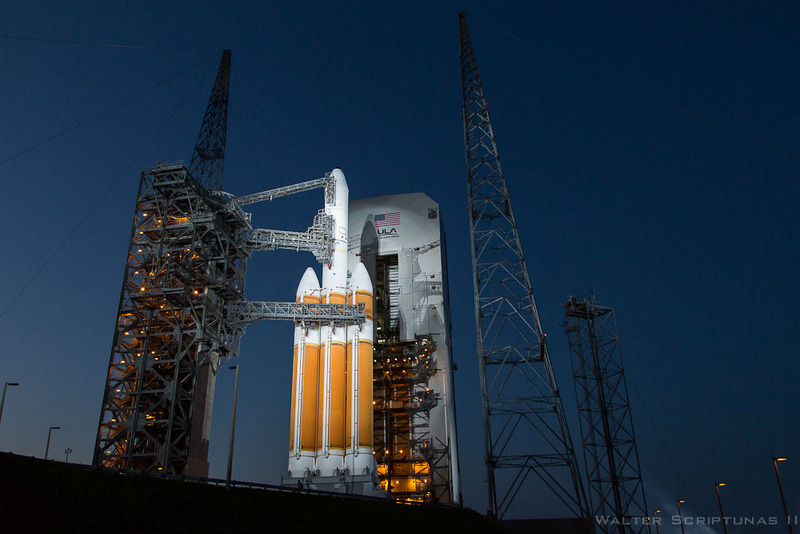 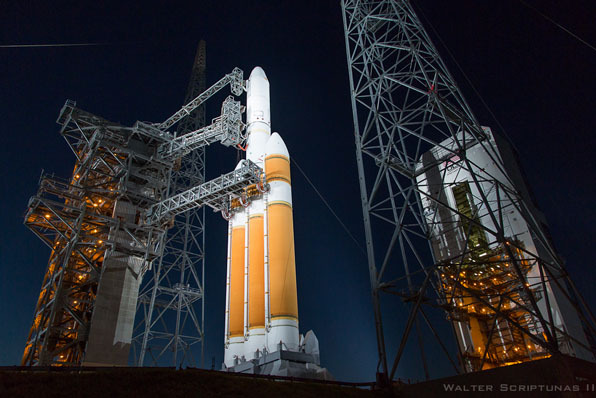 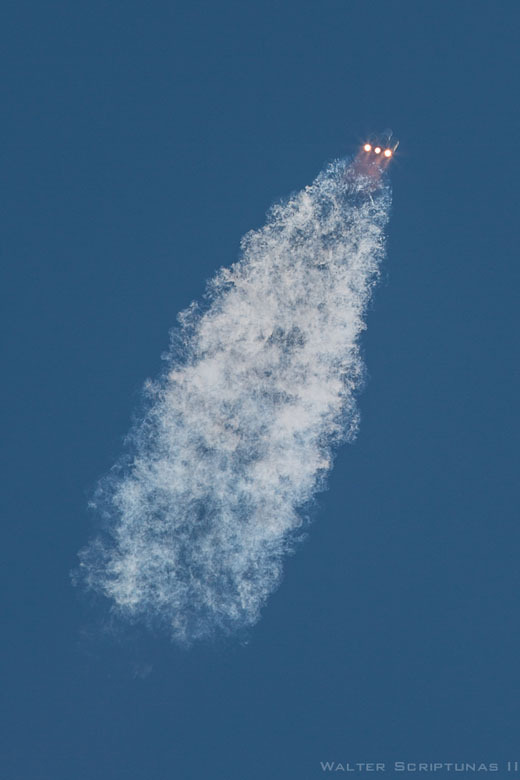 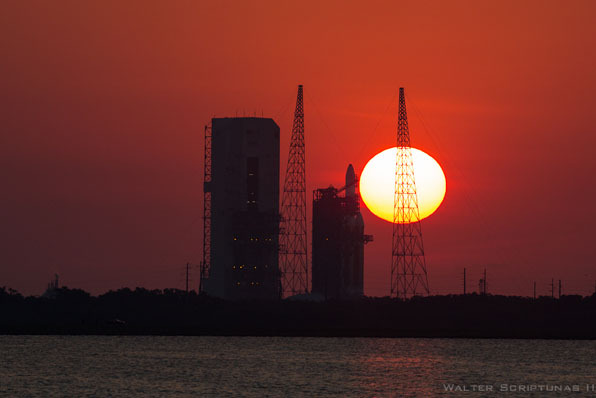 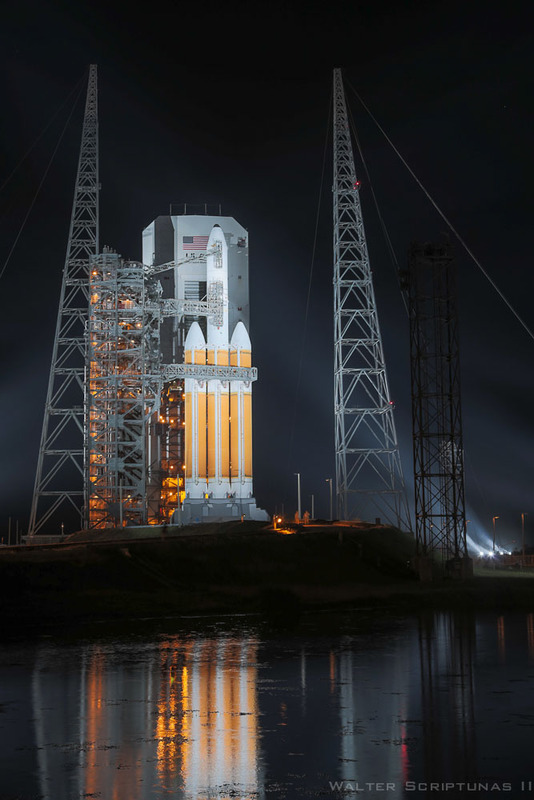 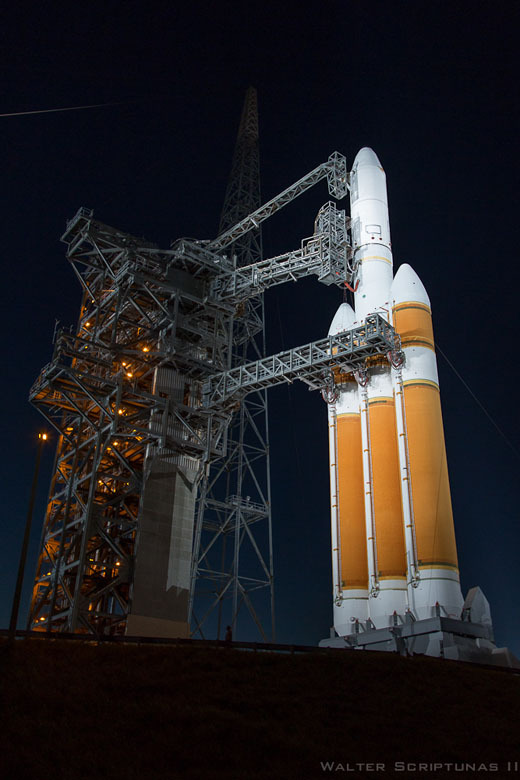 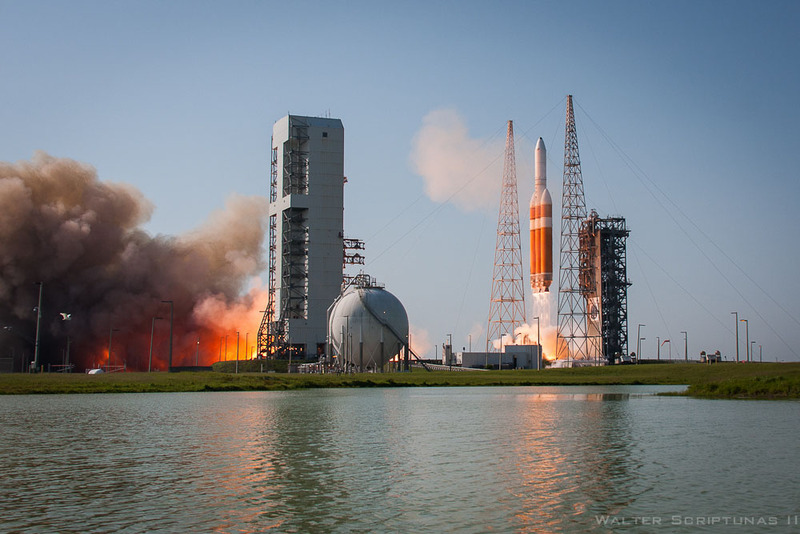 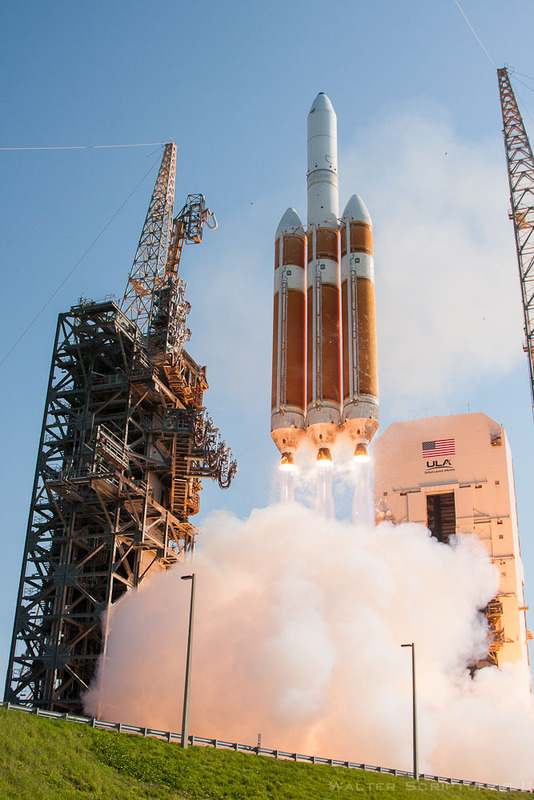 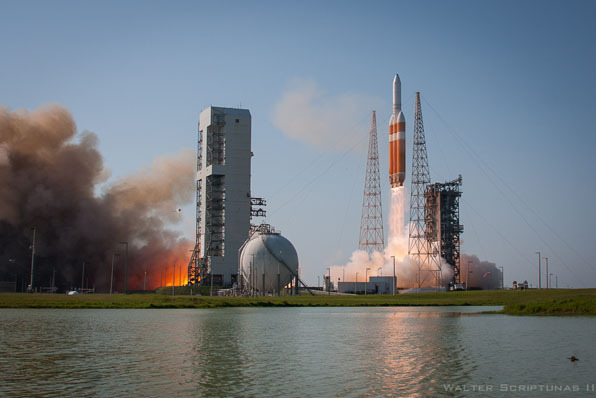 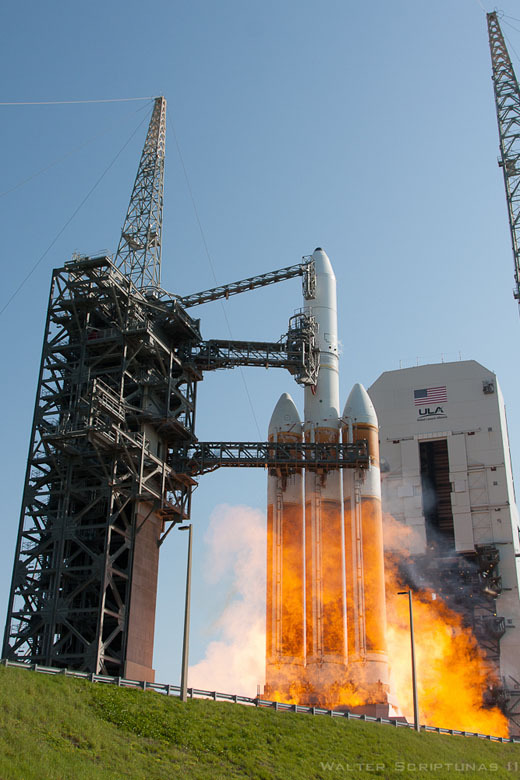 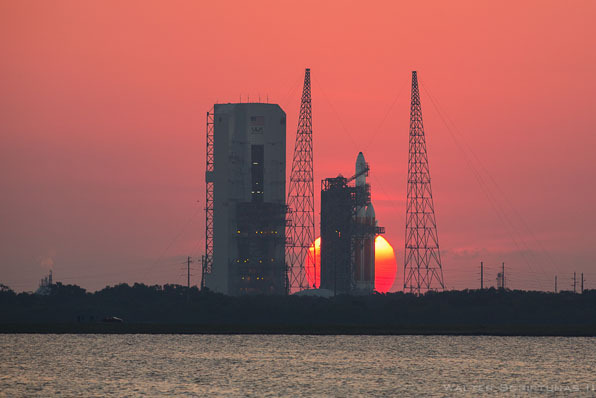 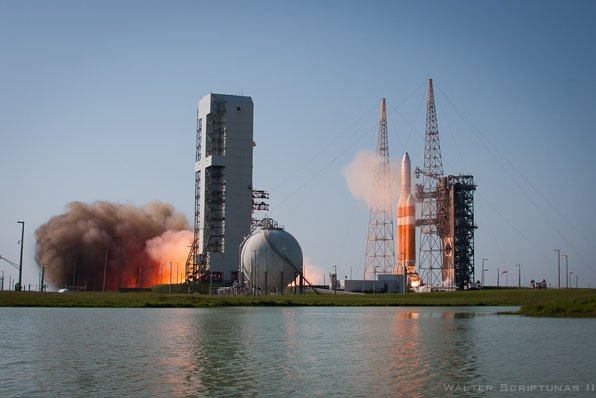 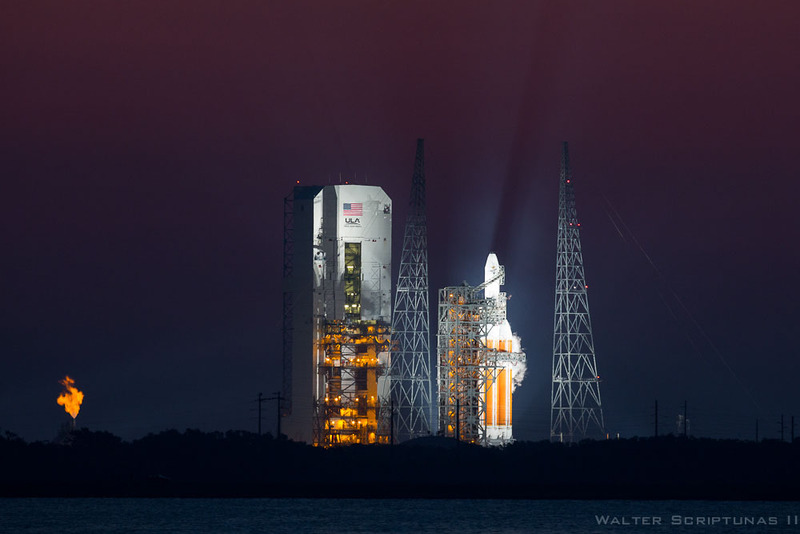 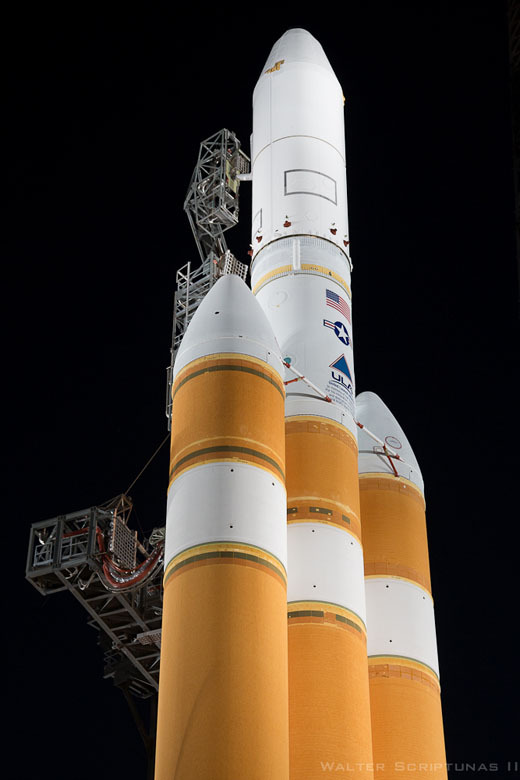 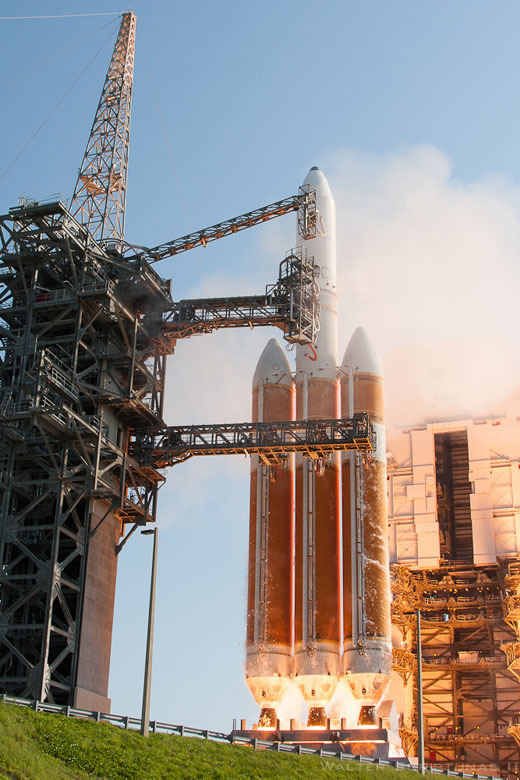 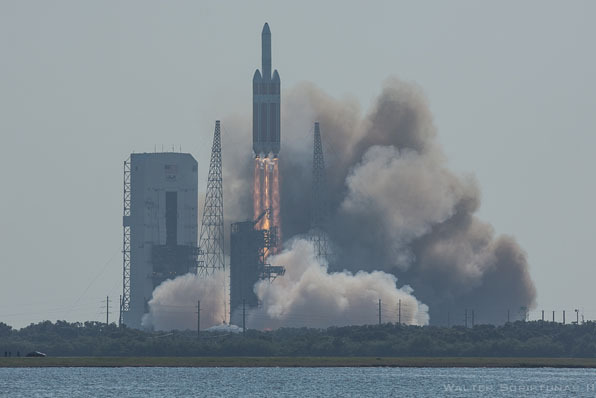 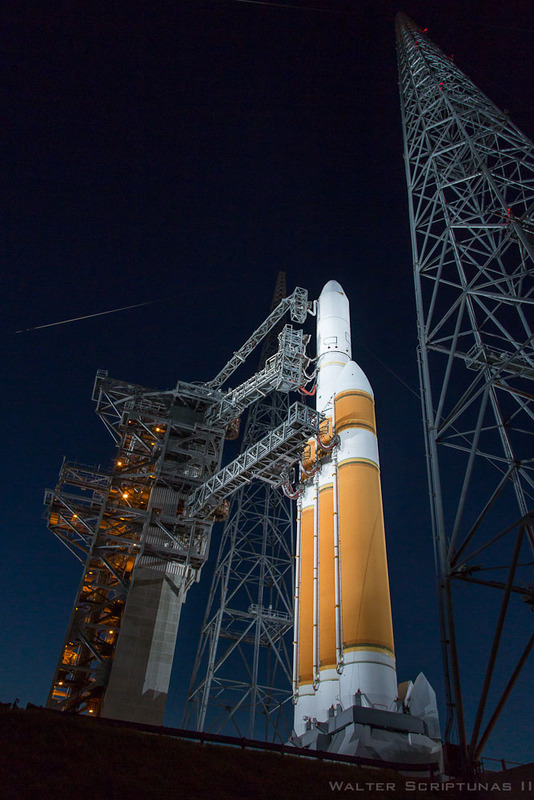 The United Launch Alliance Delta 4-Heavy rocket, flying with upgraded main engines for even more power, blasted off Friday at 9:15 a.m. EDT on the NROL-15 satellite-deployment mission for the National Reconnaissance Office. 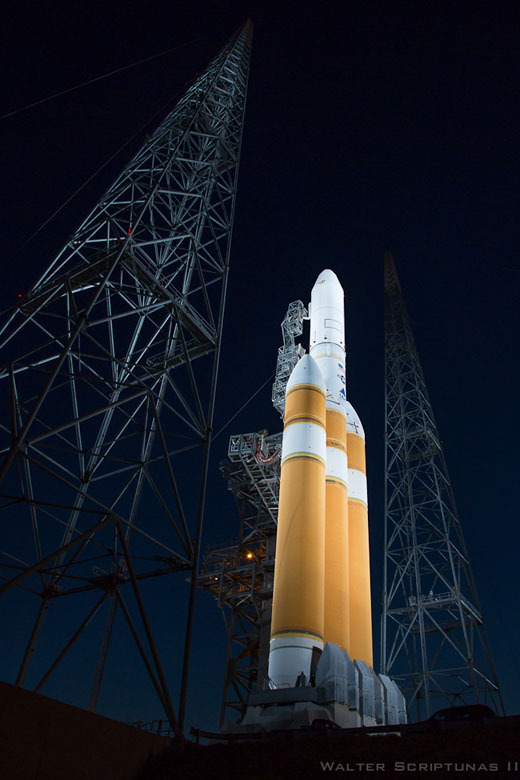 See our Mission Status Center coverage of the launch.